Apart from the marigolds, ghazanias, white african daisies, I planted some chrysanthemums. 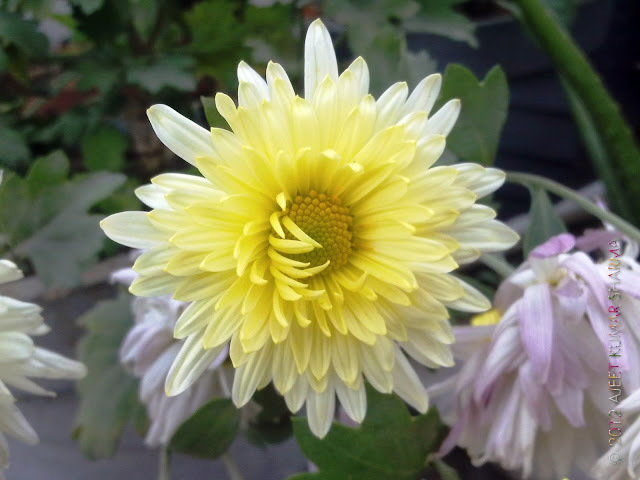 The chrysanthemums, also, simply called mums, or chrysanths, are perennials, that bloom only in the winters. 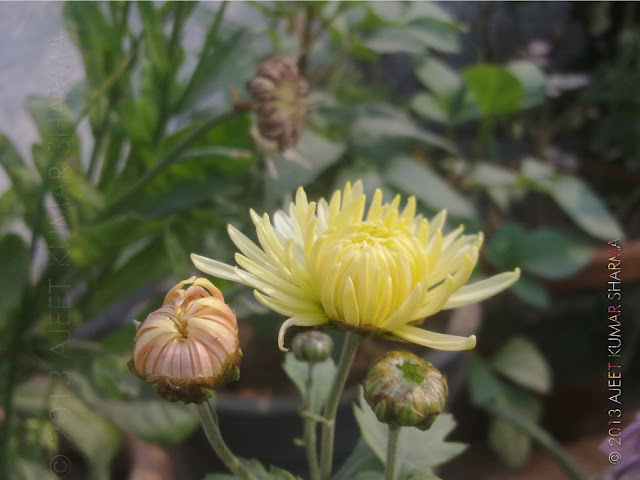 Chrysanthemums are extensively used as cut flowers by florists and also as a decorative flower, due to its beauty, varied colours and its hardiness to weather. 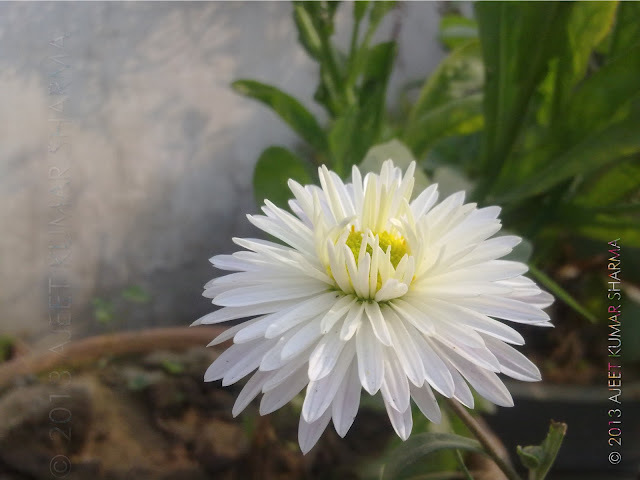 When you are dealing with such perinnials, you need to have a lot of patience, as plants like these, while, being alive the whole year, bloom, only during winters. 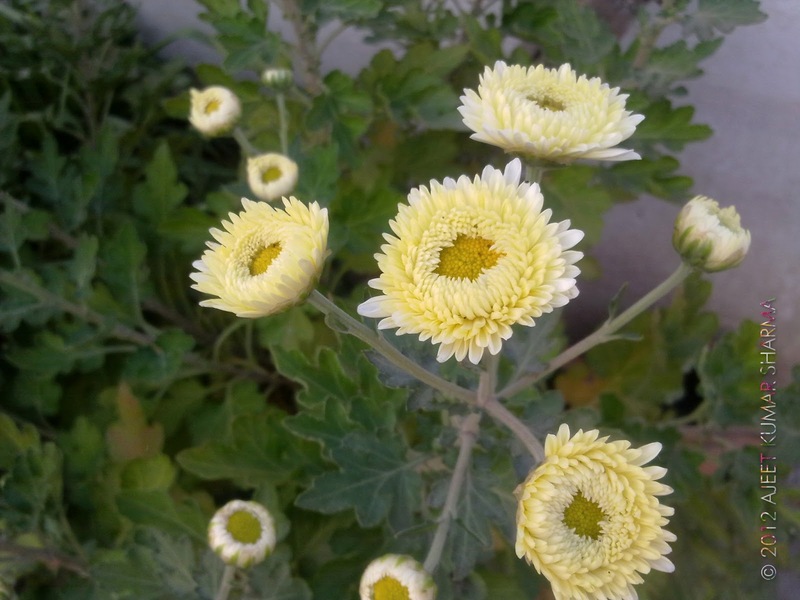 The best part is, if you care even a bit for these plants, by simply watering them, these are happy and don't need too much of care, and you'll have a good bloom in the winters. 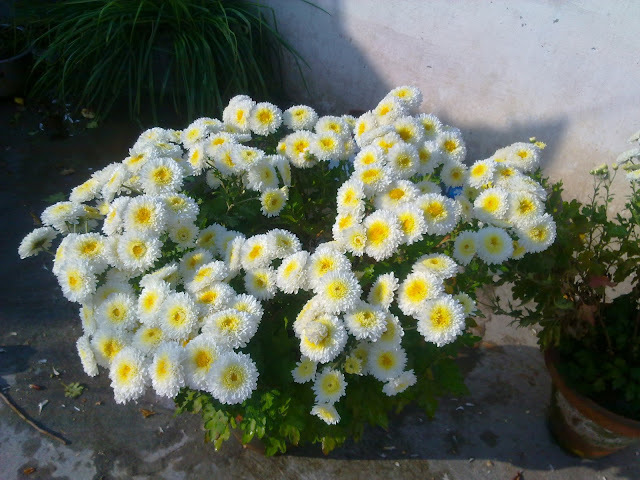 My mother always tells me to remove the chrysanths, as they only bloom in winters for about a month only, while I do the exact opposite. 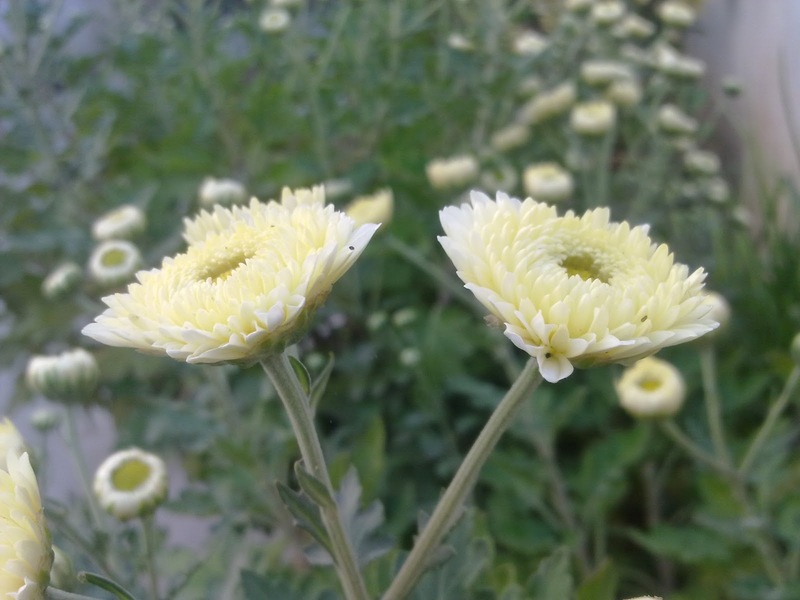 Anyways, I currently have chrysanths in four colours, the cream coloured one, the white coloured one, the pink coloured one and another one in orange. This picture was taken in January of 2012. A bud of the cream coloured chrysanth, I added this year to my terrace garden. 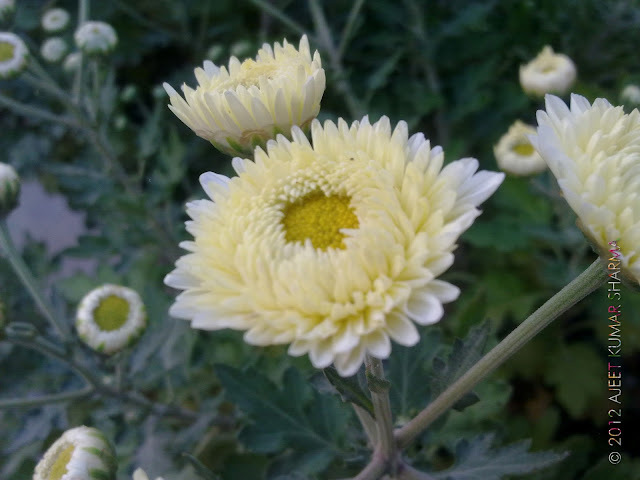 The cream coloured chrysanth, I added this year to my terrace garden. 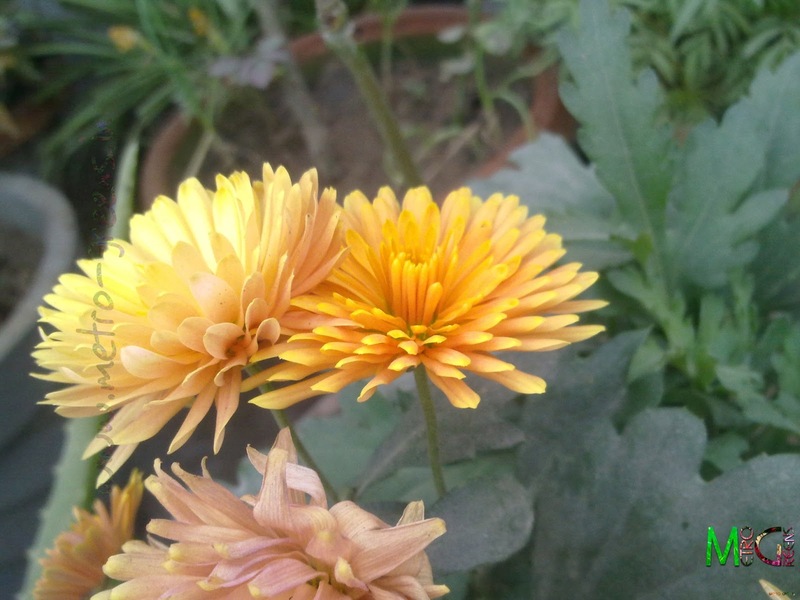 The orange coloured chrysanth, I added this year to my terrace garden. This has resulted from only one plant, I brought from Lucknow, and only in one 12" earthen pot. 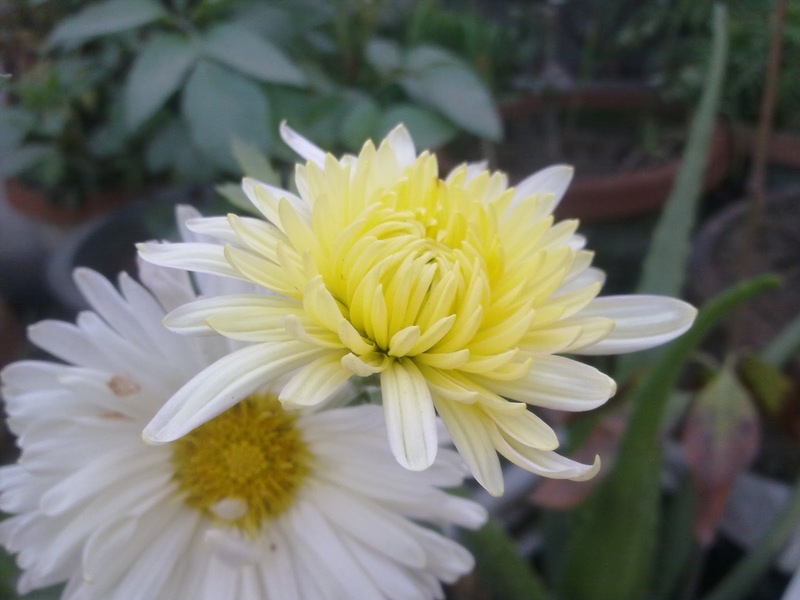 The picture of a white chrysanthemum, I added this year. The chrysanthemums are different because, these bloom furiously in bunches over the short duration of about a month of their blooming period, and look very good, as if there has been put up a flower vase with so many flowers. Once a flower blooms, it may stay for a period anywhere between two to four days depending upon the weather. Under sunny conditions, these die out soon, but, in cloudy or foggy conditions, they tend to live on for about four to five days.